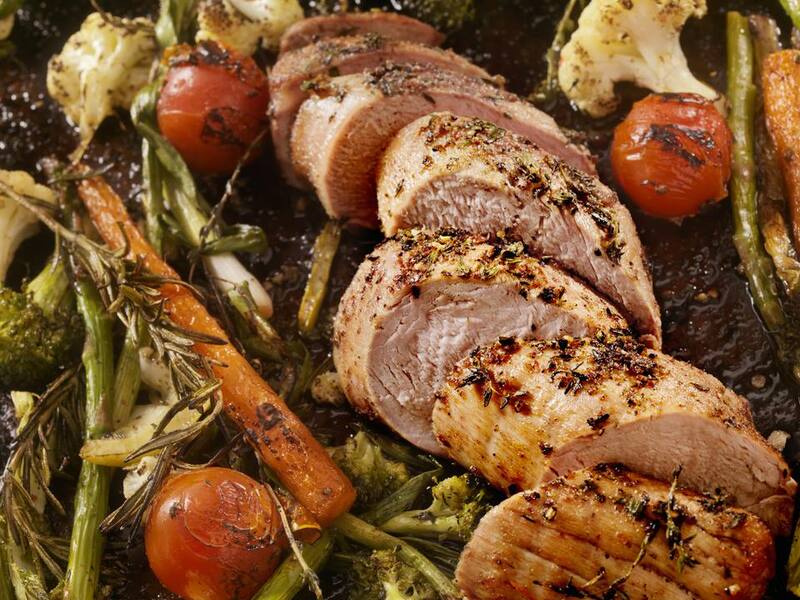 An easy and great tasting pork tenderloin recipe seasoned with garlic and rosemary. Roasted carrots and asparagus make good sides to complete this relatively quick and easy meal. This recipe has all of the comfort food goodness that brings the whole family together. Line a baking pan with foil, spray with cooking spray and place in oven. Trim fat from pork tenderloins and butterfly the meat, cutting them nearly in half lengthwise. Open the pork tenderloins and layout, pounding to flatten with the palm of the hand or the bottom of a heavy skillet. Chop rosemary if using fresh. Rub pork tenderloins all over with cut sides of garlic halves then olive oil, then sprinkle rosemary, salt, and pepper on both sides. Remove baking pan from the oven and place pork on the hot tray. Return to oven and roast for about 20 minutes (at least 145 F internal temperature). Remove and let stand 5 minutes, then slice.